Another month has slipped past and the contest winner for the month has been chosen! You realize…. only 29 entered. The odds to win this are really good if you want to do it. I swear, really it is and you know what’s even worse? I had to pick 3 different times because the first two DIDN’T have the store in their picks. So two people lost out when they could have won 2500L, and a 2500L Gift Certificate. 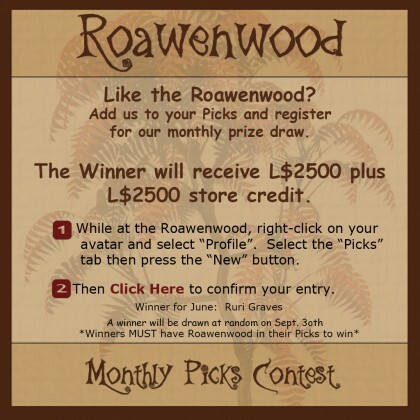 And the winner for August is ……………… Ruri Graves!! Ruri won 2500L and then a 2500L Gift Card to be used by them or a friend. 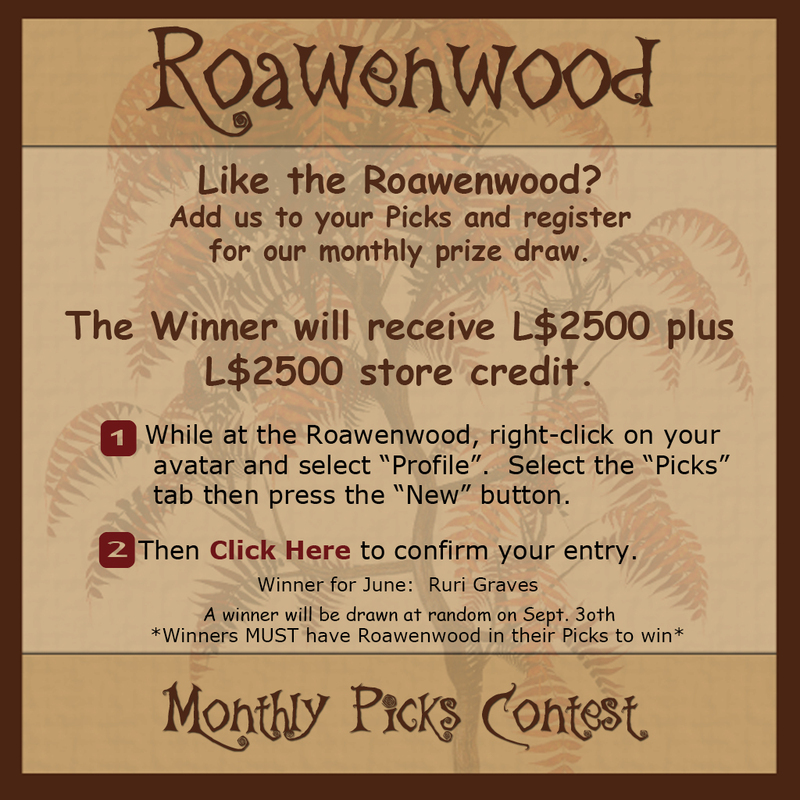 To be able to play all you have to do is go to the Roawenwood main store and there is a sign that looks something like the one in this post, click on it and you are entered, place the store in your picks… keep it there and when the end of the month comes another winner will be chosen randomly. Thank you so much, the list has been wiped clear… Back to zero and we’re starting over again!